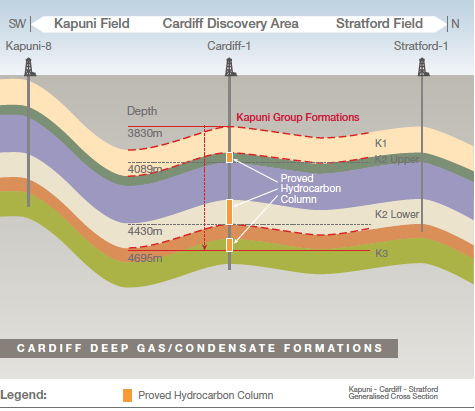 Cardiff-3 has reached a depth of 3,918 meters on day-30 of its drilling, and we expect it will take another two weeks to hit our projected depth of 4,900 meters. 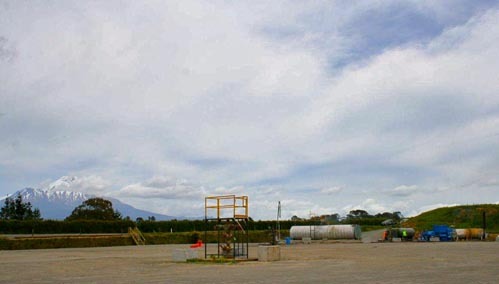 At that point, we should know whether to proceed with hydraulic fracturing stimulation or not, depending on the total meters of net gas pay, permeability, and the volume of original gas in place that we think we can access with this well bore. 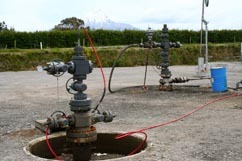 If fracturing is required (the Taranaki Regional Council has granted consent, should it be called for), careful study has shown the formations we're targeting to be completely sealed by more than 4 kilometers of impermeable rock. 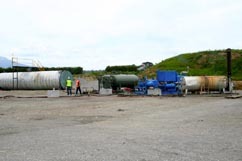 And TAG will only use the new generation plant-based fracking fluids, which will be contained in a closed system along with the water used. On a mid-case (P-50) basis, the prospective resource estimate at Cardiff-3 is 160 BCF gas and 5.49 million barrels of condensate. Now only time...and a little more drilling...will tell. Credit Suisse analysis? TAG Oil is differentiated from its peers. Credit Suisse has initiated coverage of TAG Oil, citing the company’s “layers of success” that include its portfolio of assets, location of operations, strong balance sheet and successful track record and demonstrated ability to execute. The 5,000 boe/d in behind pipe production that TAG is set to bring in by Q1/13 will contribute cash flow to a strong net cash balance of C$106 million at FQ1/13. That, plus the lack of long-term debt, will enable the Company to continue to self-fund its growth. 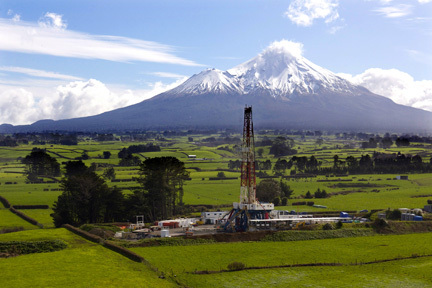 TAG’s proven success in the Taranaki Basin, and the Basin’s multiple layers of prospective hydrocarbon zones: the shallow basin plays of Cheal and Sidewinder which are fueling growth and profitability now, as well as the deeper condensate- rich plays of Hellfire and Cardiff, which will drive midterm growth in FY 2013 and 2014. 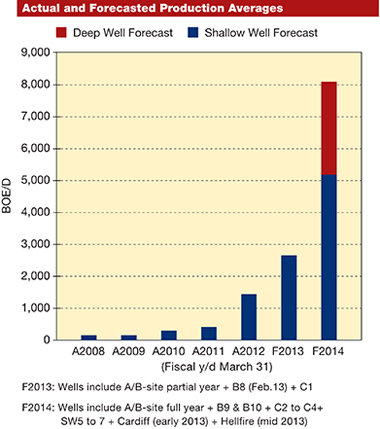 The potential of long-term tight oil: As exploration with Apache Corp continues in the East Coast Basin, the value generation potential of 13 billion barrels OOIP estimated in TAG Oil’s permit assets could be significant. 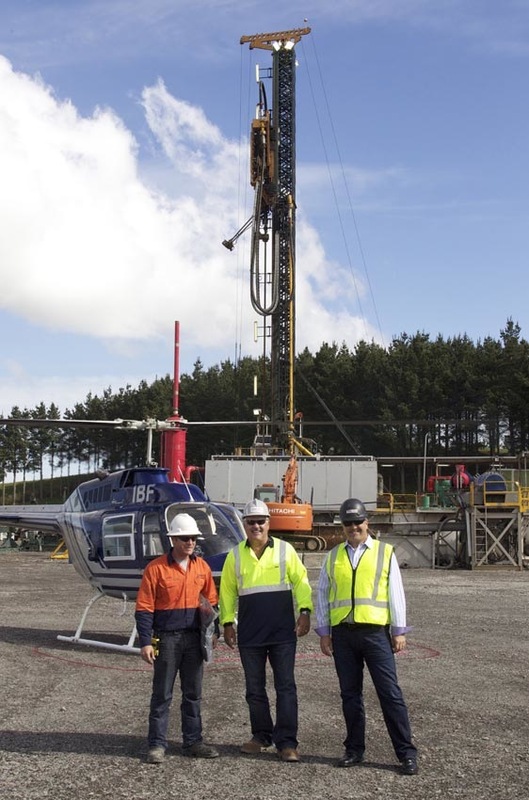 New Zealand operations provide a low geopolitical risk, operating and transportation costs are lower cost than many North American oil and gas producers, and there are no seasonal considerations that impede many Canadian drilling operations. You can access contact information for the Credit Suisse research analyst covering TAG Oil here. New photos of the Cheal-C site are just in from the field. The wellhead in the center with the protection around it is the Cardiff-2A-ST1, which discovered deep liquid-rich gas. Mini-Cheal set up for testing. This is it, starting from right: rented silver heater unit (runs on C2 gas), rental pump (blue), rental conditioning unit (green), and TAG’s silver heated storage tank. The Cheal-C1 and Cheal-C2 wells: The red high pressure hose gets gas from C2 to heat our power fluid, and pipes bring the heated power fluid in—and oil out—on the C1 wellhead. 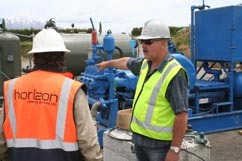 Jack Doyle, TAG's head of engineering directs the team from Horizon. 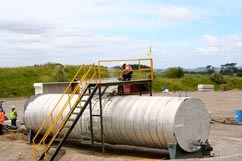 A tank dip is the only way to measure production for now.